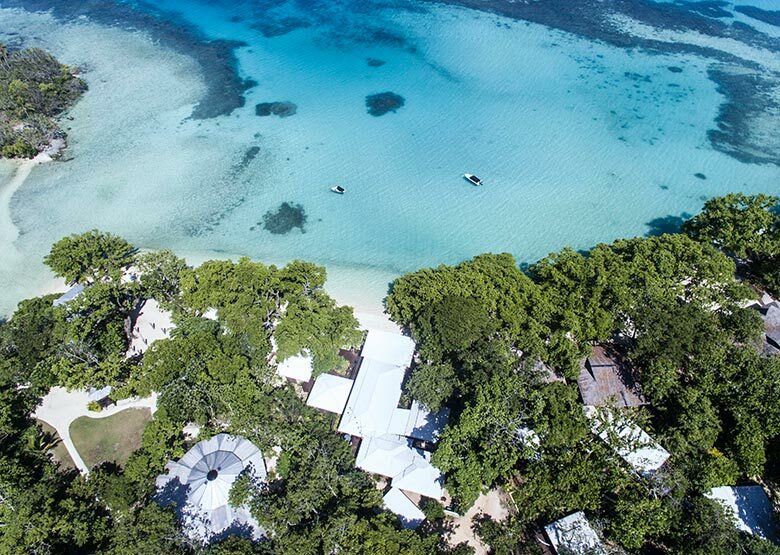 One island in Vanuatu, more than any other attracts divers like a magnet - Espiritu Santo. The majestic beauty of Santo is what inspired James A. Michener to write his classic "Tales of the South Pacific." Approximately 50 minutes flying time from Port Vila to Santo, Air Vanuatu operates daily services between the 2 islands. Santo is from a time past. People still come from within the jungle to trade for a few basic necessities, then blend quietly back into the shadows, amongst the remains of crashed B17 bombers, deserted Dakotas and old WWII hangars and storage shelters that are scattered in the thick tropical jungle and serve as silent reminders of the American occupation of the island. During the Pacific Campaign of WWII over 100,000 allied troops and support staff were stationed on Santo and the time they spent there is still evident today. Other wrecks and remains from the war lie below the surface of the clear blue waters. One of the major diving drawcards of Santo is the S.S. President Coolidge, a World War II troop transport wreck. 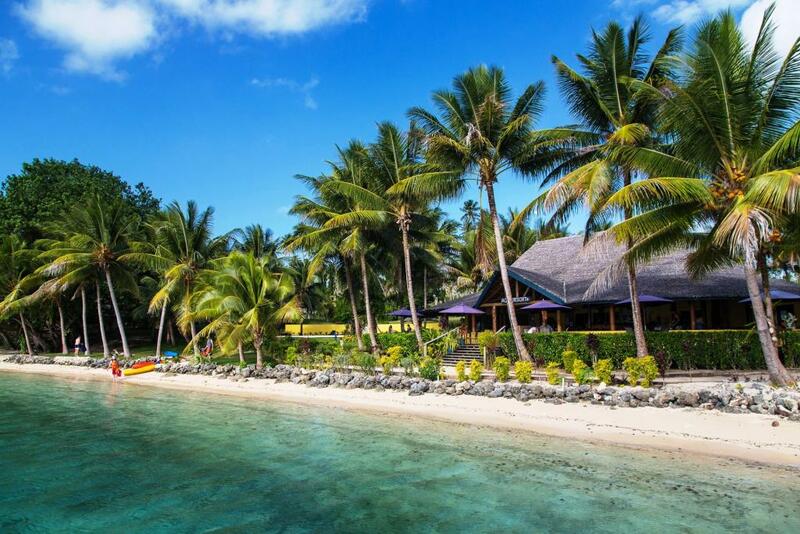 The township of Luganville is the capital of Espiritu Santo and features a range of accommodation from hotels to beach front resorts, restaurants, coffee shops a sports club and dive shops. Espiritu Santo is the largest island of Vanuatu (4,010 sq.km) and is also home to Vanuatu's four highest peaks: Mt Tabwemasana, Mt Kotamtam, Mt Tawalaala and Santo Peak, each over 1,700 metres. The western side of the island is rugged mountainous terrain whereas the southern and eastern edges of the island are vast and flat, ideal for plantations and grazing cattle. Since the island’s discovery in the 17th century, little has changed and Santo remains a South Pacific paradise of powdery, white sand beaches fringed by invitingly warm, crystal-clear water, shady palm trees and lush tropical rainforests. Mysterious water holes of the most amazing blue are connected by underground caverns. Reef systems of colourful corals teem with a variety of spectacular marine life and the rainforests are home to numerous jungle birds, a diverse range of butterflies and beautiful wild orchids. In the north lies Vanuatu's first National Park, Vathe Conservation Area. 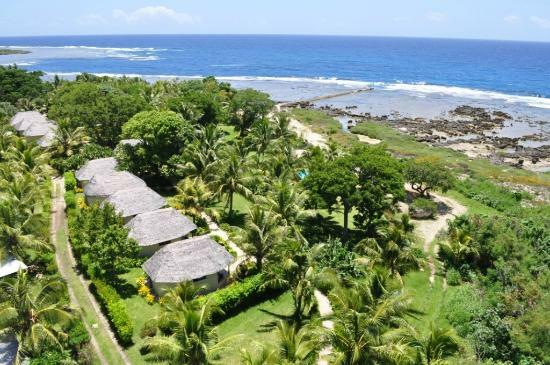 The low lying islands of Malo, Aore, Tutuba and Bokissa are largely covered in coconut palms and rainforest. There are excellent diving and snorkeling spots around all of the islands. Relax or picnic on the beautiful white sands of Lonnoc, Golden or Champagne Beach. Dive the world class WWII wrecks and reefs or snorkel around the islands. Learn about the ancient lifestyles, culture and traditions of the local people in a Kastom village. Catch marlin, wahoo, Spanish mackerel, giant trevally and different species of tuna on fishing charters. Kayak from island to island on clear blue water. Swim or snorkel in the magnificent blue holes. These crystal springs are true natural wonders where crystal clear fresh water comes to the surface through layers of limestone and coral producing water of aquamarine blue quality. Trek to the 50 metre high Millennium Cave full of bats, stalactites, stalagmites and water sculptured rocks. Swim in waterfalls or down the river in a tropical gorge along the way. Explore World War II relics including Quonset huts, three bomber strip, and Million Dollar Point where the US forces dumped hundreds of tonnes of civilian construction equipment at the close of WWII. The 220 hectare Loru Park has nature walks, a bat cave and one of the last stretches of lowland forest on Espiritu Santo's east coast. Visit Port Olry where the village is built around a Catholic mission founded in 1887. Hike through Vathe Conservation area renowned for its flora and fauna. A 2 day trek up Mount Wimbo with views over Cumberland Peninsula is possible. Luganville’s market is open daily (except Sunday) and sells fresh produce and handicrafts. The best time of year to visit Santo is April/May to October, the “dry” season, when temperatures range from 18ºC - 28ºC. November and December are warm but not unpleasantly so. January to March is hot (26ºC - 34ºC with up to 90% humidity), often wet and prone to cyclones. Whilst you can expect slightly more rain over the wet months, tropical rain showers are relatively common, usually lasting for less than an hour. Scuba diving is conducted year round in Santo and the water temperature varies between 24ºC - 29ºC depending on the season. Luganville is the main town on Espiritu Santo, and although there is excellent diving in the vicinity of Luganville, diving is mainly centred on two specific, and unique sites. The main attraction is the "S.S. President Coolidge", a luxury liner that was used as a troop ship during WWII. The impressive wreck (198 metres long) is one of the largest accessible wrecks to sport divers anywhere in the world. The dive can be done from boat or shore with an easy walk to a line that leads to the ship's bow. Visibility can range from 15 to 35 metres, and the sea is usually calm. Complete with military supplies and personal belongings scattered across the ocean floor, and of course the famous "Lady and the Unicorn" this dive is not to be missed. Not far away, is another amazing dive site "Million Dollar Point" where the US navy dumped tonnes of valuable machinery and supplies after the war. Sunk by a friendly mine in 1942, the ship lies in clear, calm water and offers divers the chance to explore the remnants of a World War II troop ship, which was formally a luxury liner. The ship is so big that even if you dived it ten times in different locations, you would still only view a part of it. As most of the dives are over 30 meters, decompression stops are necessary. These stops are made on the coral garden where you can see a colourful array of hard corals and fish life. This fascinating dive shows you coral encrusted war equipment as well as a small island trader and the salvage vessel the El Retiro. There is easy access from both shore and boat and the excellent marine life and coral growth warrants a visit. After WWII, hundreds of tonnes of US equipment were dumped here - from bulldozers and aero engines to trucks and jeeps. After the war, American efforts to sell the equipment were unsuccessful - so rather than give it to the then Condominium government, the Americans dumped the lot. Max depth: 40m. Once a US destroyer, the USS Tucker sank in 1942 after, she was split in two by the American mine she hit in the Segond Channel. After the hit, the boilers, condensers and gearboxes bridging the two sections broke apart, stretching out for over 100m. This dive has a number of interesting swim-throughs, an abundance of portholes and open bulkheads provide plenty of light. There are some spectacular finds in colourful corals and sponges growing on gun turrets and mounts. Coral trout, cod, sweet lip, angle fish and batfish are regularly seen in the area and visibility is normally about 40 - 50 meters.